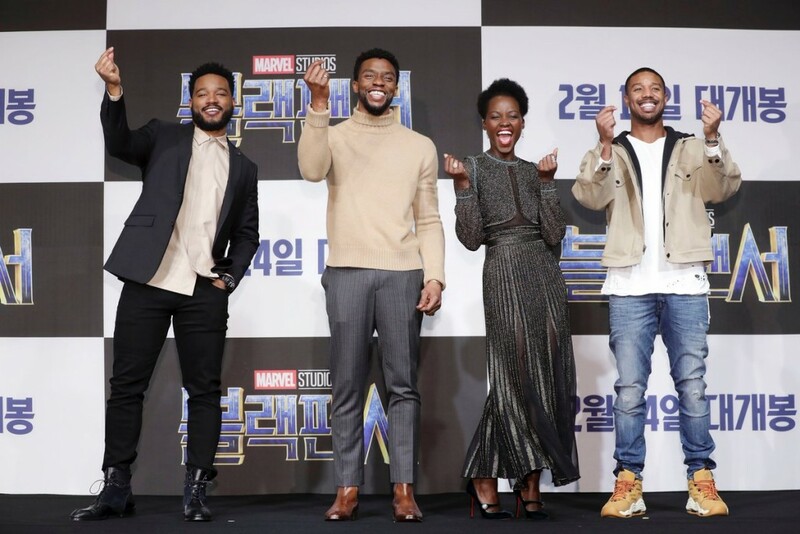 Superhero movie Black Panther continues to dominate the Korean box office, even in the face of fierce competition. The 2018 hit film Black Panther toped the foreign exchange box office for the third straight week since it’s release in mid-February. The success of the film is not new news; in North America, the movie has surpassed the 2015 superhero flick Avengers: Age of Ultron ($458m). More, it is now the third largest superhero movie behind Christopher Nolan’s The Dark Knight ($534m in 2008) and The Avengers ($623m in 2012). Furthermore, Black Panther has grossed over $900 million in cumulative worldwide revenue. Since its release in South Korea, the film has attracted 5,195,892 moviegoers and continues to attract more. Alone, the action flick has grossed $41 million in South Korea over 758 screens. In comparison, Along with the Gods: The Two Worlds, and 1987: When the Day Comes, which were both released last year earned over $100 million and $49 million respectively. Despite a competitive environment because of new Korean films releases such as The Princess and the Matchmaker and Little Forest, the movie remains highly competitive. With a strong audience turnout, Black Panther is proving itself has the most popular movie thus far this year. Black Panther centers on the King of Wakanda as he tackles social, historical, and familial issues.